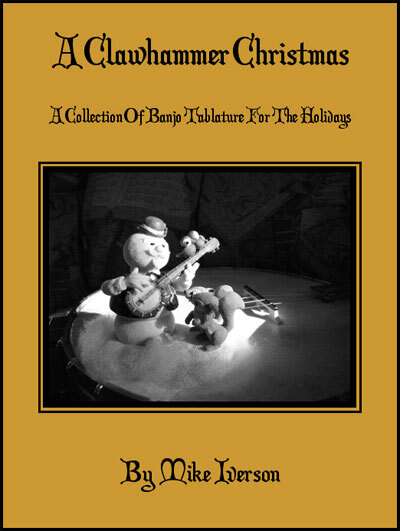 A few years ago I authored what I believe to be one of a very few Christmas book written for clawhammer banjo. Eighteen traditional Christmas carols in tablature (many with variations) plus instruction, lyrics, chord charts, etc..
Downloadable MP3 Files - Listen to the Songs! The cost is $15.00 plus shipping and packaging costs ($4.40 for US orders, 10.00 for Canada, 14.25 for other countries).